Think of a gym. Muscle-bound men do tricep curls while women in spandex pedal endless miles on exercise bikes. Now forget all that. Those things may still happen, but you’re more likely to see it with people over 50. Those in their 20s and 30s, known as millennials, have something different in mind. Nicole Harvey, the manager and a certified personal trainer at Asylum Fitness in Palmer, said their clients range in age from 12-92, though most are between 40-60 years old. While those older clients tend to take the yoga, kickboxing, and bar classes — think ballet, the younger clientele is usually interested in the more intense classes, such as the outdoor boot camp. Obstacle course competitions like the Spartan Race and Tough Mudder have popularized the idea of intense exercise as a way to bond with others while proving yourself. The Spartan Race obstacle course has participants climb ropes and walls, carry boulders across a field, and crawl through barbed wire, among other obstacles. There are different courses ranging from three miles with about 20 obstacles, which the couple ran, up to 30 miles with over 60 obstacles. LaBossiere quit smoking late last year and decided to start going to the gym to “fix some of the damage I’d done to my body,” he said. His wife had already participated in a different obstacle course race and he thought it looked fun. LaBossiere trained for six months, working out at the gym everyday early in the morning from 4:30 to 6. “I felt like I was part of a community,” LaBossiere said. “It was nice to be around like-minded people who care about fitness.” He said he will definitely compete again and try to work his way up to the 30-mile course race. There are some other differences in the ways millennials work out as opposed to older generations. Harvey said the younger people who come to the gym do so with more information — both good and bad — about how to exercise . They mostly pick it up from the abundance of websites, blogs, and Twitter celebrities online. They focus on “more athletic movements, mix in some cardio,” she said, to make it more dynamic and vigorous. “Older clients are usually looking to lose weight and improve their health. For the younger people, it’s all about looking good,” said Harvey. She thinks that displaying the trappings of workout culture, like supplements, protein shakes, and fitness gear, to friends and on social media is important to many millennials. “The older clientele don’t rely on that as much. It’s more for show with the younger crowd,” said Harvey. “You don’t see people in their 60’s snapping selfies in the locker rooms.” Social media allows millennials to flex their fitness as a status symbol and connect to others. The ubiquity of the internet has downsides, as well. Harvey expressed concern over young people who may be taking their cues from Instagram fitness models who may not have any professional training. Liz Greene, who owns Pioneer Valley Crossfit in Northampton with her husband Perrin Hendrick, agrees that having a mentor to work with is important and said clients supporting each other is a vital. 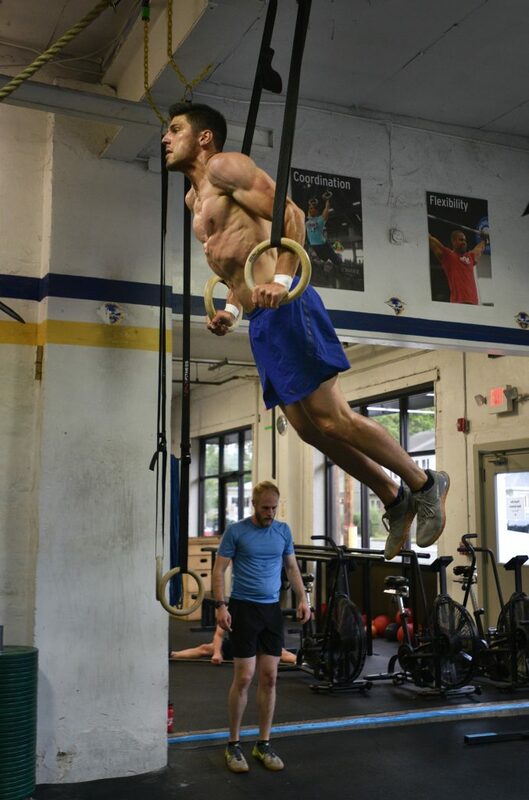 Crossfit is an workout regimen that features a rotating lineup of exercises integrated from other sports and intensity levels that are suited to each individual’s ability. With all that in mind, and despite the differences in the reasons and ways people stay fit, the goals are essentially the same as they have always been. “People want to feel good, look good, and be a part of something,” said Greene.